House Judiciary Committee Chairman Jerry Nadler accused Ohio Rep. Jim Jordan of anti-Semitism on Monday over a tweet the Republican sent criticizing Tom Steyer, a billionaire Democratic donor who is also an Episcopalian. “To be clear, this tweet counts both as inane AND anti-Semitic,” Nadler, who is Jewish, wrote Monday morning in response to a tweet that Jordan sent Sunday night. Nadler was responding to a tweet in which Jordan used a dollar sign in Steyer’s last name. The tweet led to allegations that Jordan was perpetuating stereotypes about Jewish people. Impeachment has been a hobbyhorse for Steyer. The San Francisco-based hedge fund manager has spent millions of dollars over the past year on a campaign to impeach Trump. Notably, when Steyer responded to Jordan’s tweet, he did not allege it was anti-Semitic. 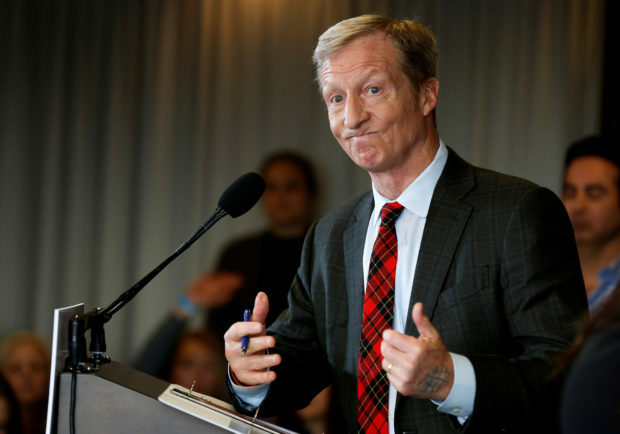 “Tom Steyer is a billionaire that is spending millions of dollars to elect Democrats and incite them to impeach President Trump,” the spokesman told The Daily Caller News Foundation. Steyer’s father is Jewish, but he is a member of the Episcopalian church, according to various news reports. According to Men’s Journal, Steyer became heavily involved in the church in his 40s, and attends services almost every Sunday. Steyer spent more than $73 million during the 2018 election cycle, according to Federal Election Commission records. All of the donations were to Democratic or liberal campaigns and political committees. Republicans brought up Steyer during the hearing with former Trump attorney Michael Cohen. Republican Georgia Rep. Jody Hice asked Cohen whether Steyer was paying any of his legal bills. Cohen said he was unaware of any payments from Steyer, and the billionaire denied contributing to Cohen after the hearing. Nadler recently accused Minnesota Rep. Ilhan Omar of anti-Semitism after the Democrat asserted Jewish lobbying groups were buying influence in Congress.